As you will have read over the past three weeks, I have had the huge privilege of visiting the continent of Antarctica. First of all, two acknowledgements, to Robert Swan at 2041 for asking me to come on his expedition and talk about climate change and to Shell for supporting me. Unlike the Arctic, Antarctica is not a place to really see the effects of climate change, at least not yet. There is strong anecdotal evidence of changes on the Antarctic Peninsula and there have been some spectacular break ups of big ice shelves over the last few years, but despite recent findings published earlier this year in Nature, the science is not yet clear on the fate of this continent and its vast ice coverage as the world warms – but it is hard to rationalise that nothing will happen there. Visiting Antarctica is quite an overwhelming experience. Standing on the rugged shore (no docks here) in a remote bay watching penguins go about their business and whales feed in the icy water, it makes you think about what the world was once like, before humans shaped it for our own use. We have “geo-engineered” the planet and its atmosphere in just 1000 years, with the bulk of it happening in the last 100 years. There is little true land-based wilderness left, just pockets here and there, but even they are usually inhabited or used by man. Mankind has also changed the composition of the atmosphere. First it was local air pollution, then regional impacts and now it is global. We have already seen that global change in the atmosphere does have an impact. The ozone layer thinned following a build-up of Chloro-Fluoro-Carbons (CFCs), perhaps the most telling aspect of our presence on this planet for a long-term visitor to the Antarctic. But we have also demonstrated that these local, regional and even global issues can be addressed and that a balance can eventually be restored. Now humans are altering the quantity of greenhouse gas components in the atmosphere with scant collective thought about what it really means for the future. The issue is highlighted again in the Guardian today with an article about Nicholas Stern . Lord Stern has shown us very clearly that there is an economic rationale for addressing the build-up of CO2 and other GHGs in the atmosphere, yet as the article discusses we persist in an endless debate on the issue itself. Humans are raising the level of CO2 and other GHGs in the atmosphere through the huge level of global industrial activity. We all know and have known for over 100 years that GHGs, in particular CO2, are key regulators of our long-term global environment. Given this, we shouldn’t be surprised to expect a change if we double or triple the level of these gases in the atmosphere or (like CFCs) we introduce them in significant quantities for the very first time. Despite the fact that we have enormous regard for science and take it for granted in devices we use every day (such as the computer you are reading this blog on), we seem bent on not believing our atmospheric chemists and others like them who have worked just as hard at establishing their base of knowledge as those who led the way for transistors, semi-conductors and now nanotechnology. It’s a bit like being given some very bad health news by a world leading oncologist then visiting 99 other doctors with various qualifications until one tells us that we will probably be OK and then deciding that this is the one that must be right – and it turns out his specialty isn’t oncology and he might not be a doctor at all – but we believe him anyway. 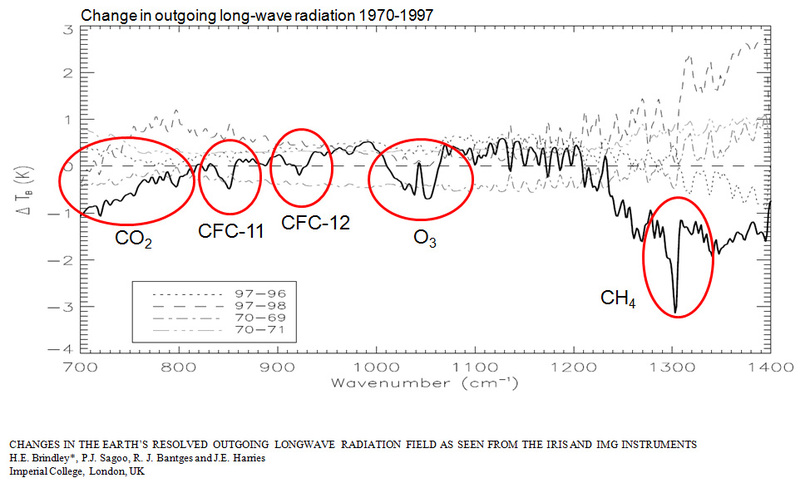 We can even measure the change in infrared absorption over the last 30 years yet still we argue the point. Nicholas Stern has also outlined the key elements of a global deal. It’s not complicated, but it will require an unprecedented level of global cooperation to agree and implement. But as I saw on my Antarctic expedition, attended by people from over 20 countries, that level of cooperation is possible. So now I am back in the real world of politics and self-interest (and e-mail) and today the first round of international talks (for 2009) in the lead-up to Copenhagen starts in Bonn. There is much to do ! I am glad you enjoyed your trip to Antarctica. We enjoyed our’s too, and more recently to the Arctic. I must question your position and the Shell position on climate change (why did the shorthand change from global warming to climate change)? You say you have a science and engineering background yet you/Shell do not seem to subscribe to the scientific method. You say “Humans are raising the level of CO2 and other GHGs in the atmosphere through the huge level of global industrial activity.” While it is true humans are producing CO2 and other GHGs, it is misleading to imply there is a direct effect on the atmosphere. There are many and very complicated interactions between Co2 and oceans, soil, humans, plants, animals and the 0.117% of CO2 that man is responsible for has far less impact than the major GHG which is water vapor (95%). Further, based on ice core data refined after the IPCC staked out its global warming position and built their still inadaquate models, earth temperature rises always preceed increases in atmospheric CO2. Your statement “We all know and have known for over 100 years that GHGs, in particular CO2, are key regulators of our long-term global environment.” Is a bit unclear. What do you mean by “key”? There are numerous variables that correlate well with climate change but CO2 is not one of them. Sun activity, the earth’s tilt, clouds, water vapor and many others are proven climate impactors. 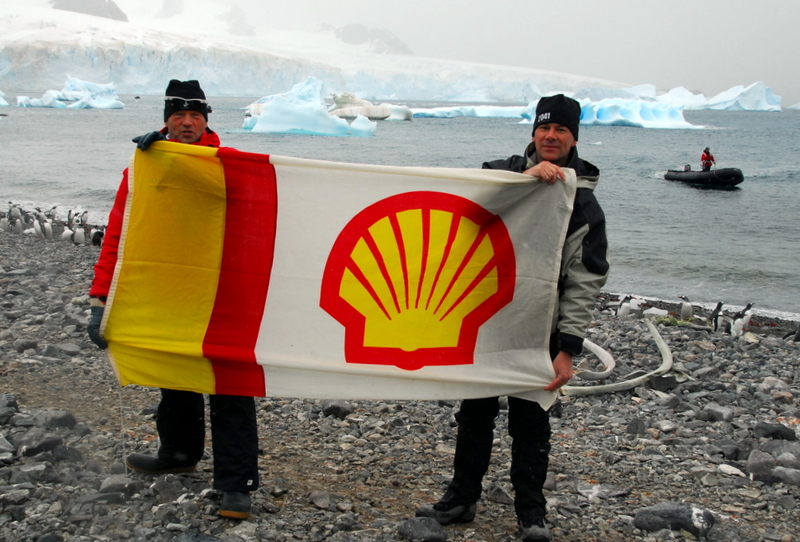 I am amazed that a science based company like Shell has taken the position on climate change that it has. I hope Shell and you will broaden the scope of the science you consider and rethink your conclusions. Danish scientist Bjorn Lomborg, a committed environmentalist, came to realize that much of what the IPCC/anti man-made CO2 movement preached was based on bad science. Here is some more if you care to read it. It is not a question of some science on one side and some other science on the other side. Rather, on one side is the IPCC and it’s very imperfect models of global warming, the scientists that support that conjecture, and the scientists that focus on what will happen IF man-made global warming is true – but do not test or question if it is. On the other side is true, peer-reviewed science that clearly demonstrates the 0.117% of greenhouse gases that are produced by man’s use of hydrocarbons have no effect on temperature; over the past 3000 years rises in CO2 have always TRAILED raises in temperature; and the earth and man have experienced temperatures and CO2 levels both higher and lower than we have today. Man and other creatures (including Polar Bears and Penguins!) have survived by adapting or they have relocated or they have perished. We probably don’t yet know all the variables that impact earths very dynamic Climate. We know they include high clouds; low clouds; moisture in clouds; solar activity; the interaction of clouds, water vapor and other greenhouse-gas emissions; the variable tilt of the earth on its axis; ocean currents; El Niño; the cycles within cycles; ocean temperatures; the solar system’s changing center of gravity; the back and forth flow of CO2 between oceans, atmosphere, plants, animals and soil; the role of the 90% of the earth’s ice that sits on Antarctica; precipitation that varies in amount and location; the amount of dust and particulates in the air; the growth and death circumstances of plants on farms, fields and forests; the amount of asphalt, concrete and buildings in various areas; population levels and shifting population locations; vapor trails of jet planes; cosmic ray flux; and on; and on; and on. Many of these show good correlations with the temperature and climate of earth. The IPCC models simply do not include (probably can not include) a sufficient number of the known variables and are, unfortunately, politically driven and oriented to finding a man-made villain as the cause. In face of the sound science contrary to the IPCC findings that has multiplied since the 1980’s when the man-made CO2 & temperature relationship was put forth (not as peer-reviewed science but as conjecture), the IPCC has never changed its basic position. Glaciers have been shortening since the end of the little ice age and shortening has not accelerated with man’s increased use of hydrocarbons. Global sea level has increased at a relatively constant rate over the past 150 years and has not increased with man’s increased use of hydrocarbons. The real risk is that if we adopt the doomsayers/IPCC unscientific, political conclusions, the world will waste trillions of dollars to no mankind-serving effect, and divert scarce resources from real human needs. Danish scientist Bjorn Lomborg, a committed environmentalist, came to realize that much of what that movement preached was based on bad science. Besides writing “The Skeptical Environmentalist” he assembled some of the top Nobel Laureates to form the “Copenhagen Consensus” to rank the world’s most pressing problems. In 2004, they ranked global warming at the bottom and concluded the most pressing problems were combating disease, stopping malaria, securing clean water and building infrastructure to help lift developing nations out of poverty. (See http://www.copenhagenconsensus.com) Those needs would be useful places for funds and human effort while the absolute futility of trying to change climate would not. CO2 is not a pollutant, it is necessary for life! Do we want energy independence? Yes. Do we want non-polluting energy? Yes. And we can have both with expanded production and use of hydrocarbons (which we have available in the US if we but allow the necessary production), and expended use of nuclear and hydroelectric. Increased use of natural gas for transportation and development of coal-to-liquid for transportation are short term solutions. The alternative to hydrocarbons is not yet invented or discovered, but it will be. Until then we need hydrocarbons as the bridge energy. Solar and wind may turn out to be practicable alternatives, but they are not cost effective in most applications today. Green is good. Energy efficiency is good. Demanding excellent impact control of exploration and production of hydrocarbons is good and has been demonstrated at hundreds of sites. Demonizing man-made CO2 and tilting at the windmill of man-made global warming is a worthless political gesture and a waste of money and human resources, all to no human or earth benefit.